Increasing the efficiency of your metal or woodworking business means having the sharpest tools, the best components, and the right hardware. At Byler Industrial Tool, we’re proud to offer all three for professionals like you. When it comes to hardware, you need parts that are high-quality, reliabe, and built to last. You also need them to work as intended and to never get in the way, whether you’re storing tools or retrieving materials to complete a job. Hinges and hinge plates—There are many types of hinges for cabinetry, and we sell a wide selection. Whether you need a Self or Soft-Closing Compact FF Hinge, a Soft Closing Impro Hinge, or a No Cam Frameless Hinge Plate, we’ve got you covered. We also offer different options for each type of hinge to help you get the exact part you need for your business. Lifting systems—Having the right lifting system makes it easy to store and retrieve the tools and items you use on a daily basis. 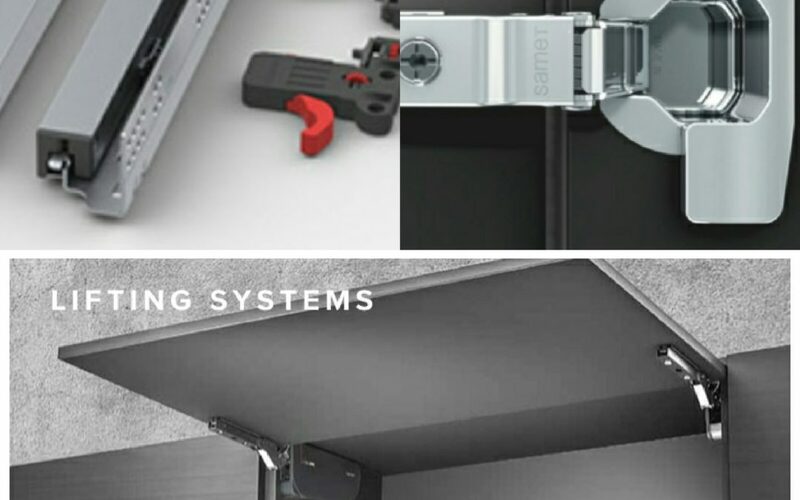 Our lifting systems have several important features, including soft-closing mechanisms to ensure silent operation, gradual opening systems to keep doors in place when they’re let go, and even interior lighting to make it easy to find what you’re looking for. Premium drawer systems— Our premium drawer systems can be ordered at multiple lengths, starting at 270 mm and going up to 600 mm. In addition, they feature tool-less front panel assembly, making them easy to put together and put into use right away. Undermount drawer slides—Drawers should be easy to open and close, and our undermount drawer slides are the ideal option for a variety of cabinetry. SmartLock® technology means they’re easy to remove and mount, and their heavy load capacity means they’re designed to last for many years without issues. Need hardware for your business? Call us today at (615) 763-6227 for more information or to place an order. You can also complete our online contact form to inquire about our products or make a purchase, and we’ll get back to you via email or phone right away.